My fiancé and I did an engagement shoot with Mint Memories and the pictures came out amazingly. 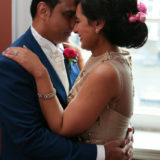 Since putting them up on our wedding website, we’ve received really wonderful comments. Sajeda was extremely professional and generous with her time, transparent and also just a pleasure to work with. The pictures came back to us very promptly as well. Highly recommend! Thank you for the pictures, they look great! You were able to put both of us at ease, to the extent that we forgot you were there. You were very responsive to my suggestions and delivered our pictures on time! If you're ever back in Toronto, we would love to meet up with you for another photo session! 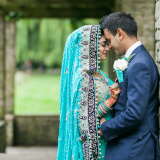 Sajeda and Khurum were great to work with at our family wedding! They were professional but at the same time like part of the family. Thank you so much for complimenting our special day. Best team I have seen, they were completely attentive and took shots of every candid moment...they know what they are doing. A beautiful memory to keep and share with our family and friends...definitely recommending your company to whoever are getting married. Thank you for the pictures! It's only now we have had a chance to go through them and reminisce on what a wonderful day it was! So glad you were there to capture it and you understood exactly what we were looking for! We were amazed at seeing all the lovely pictures - they have come out so nicely. Thank you so much, I would definitely recommend Sajeda for anyone who is looking for a photographer for their wedding, it was great working with you! ...AND SEE MORE ON OUR Google & Facebook PAGES!